Tom Bazeley, the chief executive of M&C Saatchi, has left the agency. Staff were told at lunchtime today that Bazeley had left by mutual agreement. It is understood he does not have a job to go to. Bazeley was the agency’s first chief executive to come from a digital background, having co-founded Lean Mean Fighting Machine in 2004 alongside Dave Cox, Dave Bedwood and Sam Ball. The digital agency was bought by M&C Saatchi in 2014 and within six months Bazeley had replaced Camilla Harrisson as CEO. 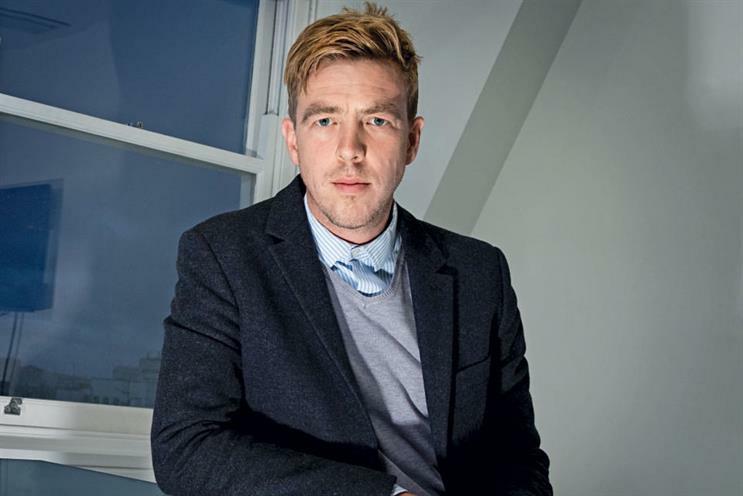 Harrisson had only been in the job for a year before leaving to lead Anomaly London. Bazeley said: "M&C Saatchi is a brilliant company with a remarkable story and industry-defining characters. "It has been the greatest privilege to run it for the last two years, but the world is a big place with lots of adventure to be had. It’s time to step aside." Moray MacLennan, the worldwide chief executive of M&C Saatchi, added: "We thank Tom for his contribution to the agency over the last two years, in particular winning the Royal Mail and Unilever business. "I hope our paths cross again, and imagine this might happen sooner rather than later."